Seen these odd looking little dotty square codes out and about but never knew exactly what they were? These codes are called “QR Codes” (or Quick Response codes) and they were originally designed for tracking parts in the automotive industry. With mobiles that are capable of reading these codes becoming ever more popular, people are starting to see that they can use these codes as a shortcut way of quickly accessing pages on the internet. Due to this, QR codes are now popping up all over the place: on billboards and buses, on real estate signs and on business cards. Inventory tracking is however where the codes really shine: used well they can be a great tool to organize all your craft parts and pieces. Essentially, there is nothing overly complicated about the codes: the dotty squares are simply a coded representation of a normal URL that you type into a browser. As you can’t read it in its coded state, you need to have an app that is capable of scanning and then translating the QR code into a normal URL. First thing you need is a smart phone (like an iPhone or an Android phone). 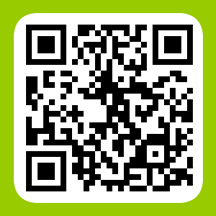 Navigate to the place you usually download apps and search for “QR reader”. There are now many apps that are QR readers on the market now - some are free and others you may have to pay a small amount for (depending on their features). A couple of popular ones are Red Laser for iPhone and Android, QR Code Reader for iPhone, and QR Code Scanner Pro. None of these apps should be difficult to use, it should be as simple as starting the app and it should then instruct you to point your camera at the code you wish to scan. As soon as the app recognizes the code, it should automatically load the webpage in your mobile browser - simple as that! How can I use QR codes to organise my craft inventory? Craftybase now automatically generates QR codes for all your craft materials you have logged in the system, so you can now start factoring this into your workflow. Navigate to your material page and you should see a little QR icon - clicking on this will take you to a page where you can download and print out a unique label for your inventory item. From here, you can print this code out and attach it to your item - whenever you need to access details quickly about the item, simply grab your phone, scan the code and you are automatically at your material detail page! Craftybase has many more exciting features planned around QR codes that should make your crafting workflow even easier to manage, so stay tuned!